The serval is a great cat. Because it has stripes and spots, it looks almost like a mix between a tiger and a cheetah! 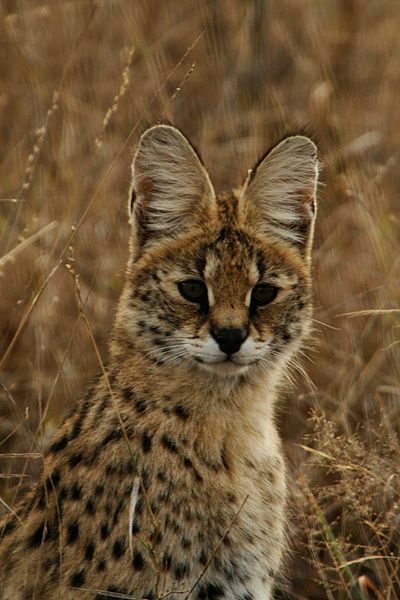 The serval has a small head and long legs. Pale white servals have been seen before, but they are very, very rare.